New Saginaw Power Steering Pump Kit for 66-77 Classic Ford Broncos with 5.8L/351W Engines. Pump failure sound familiar or just a lot of whining? If so, replace it with a heavy duty Saginaw pump kit. Kit comes with all new parts which include the pump, pulley, mounting bracket and belt. This kit retains the stock Bronco high and low pressure hoses. 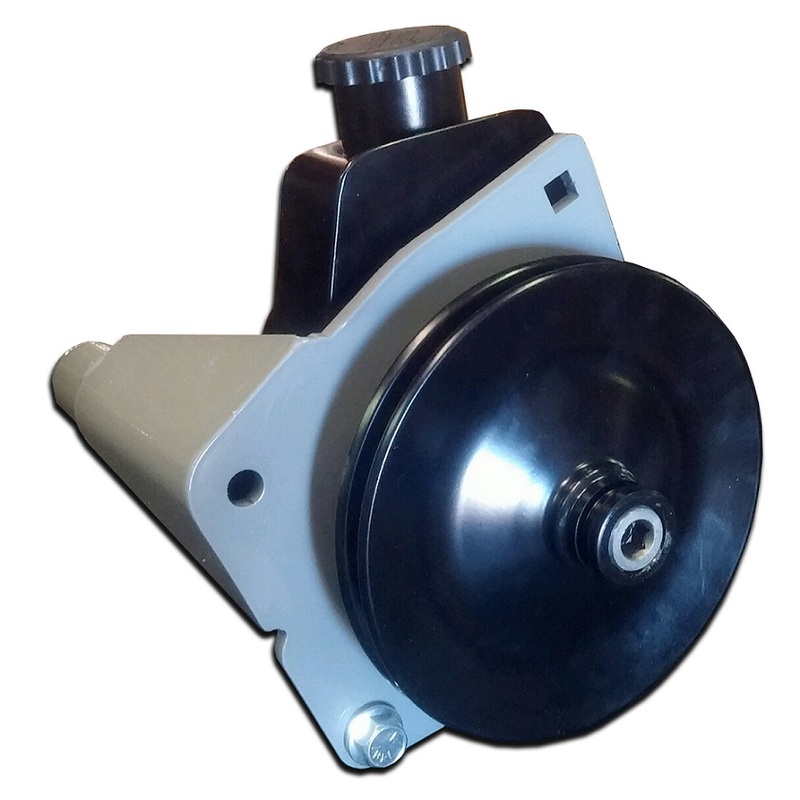 This kit is designed for use with a 351 Windsor engine and therefore includes a custom mounting bracket and a relocation bracket to locate the pump in the correct location on the engine block. NOTE: If you do not have a 351W adapter bracket, you will need to purchase this as well to use this pump. Fits 1966 to 1977 Ford Bronco with 351w V8 engine conversion. Will require 351 Adapter Bracket (TBP Part #6530) for proper spacing and location. Factory V-belt style pulley. Supports factory power steering hoses.